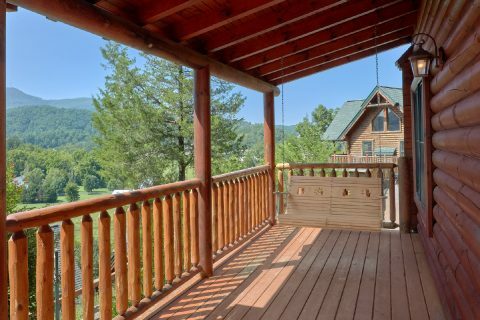 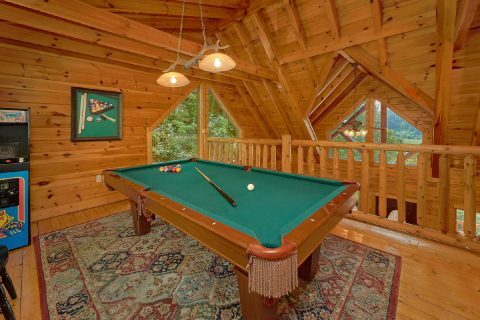 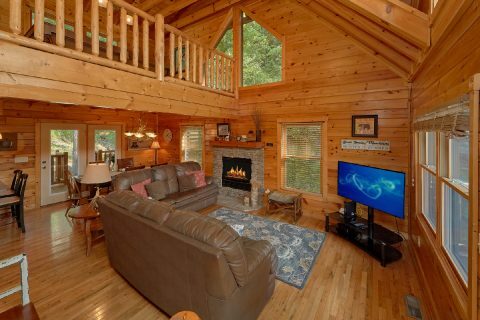 "Bear Mountain Lodge" is a beautiful 3 bedroom cabin located in the scenic Covered Bridge Resort area of the Smoky Mountains. 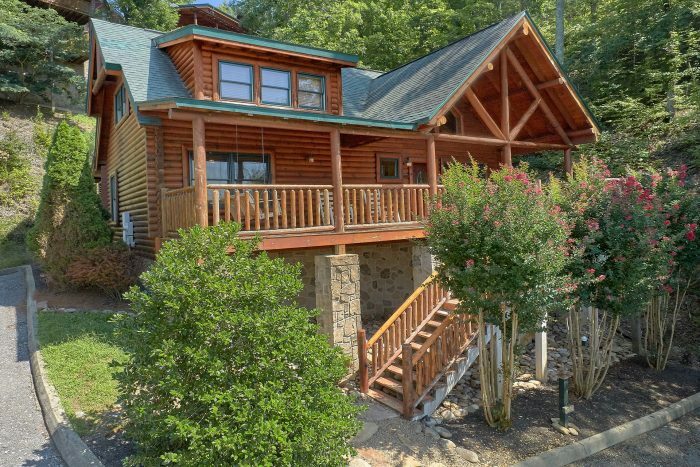 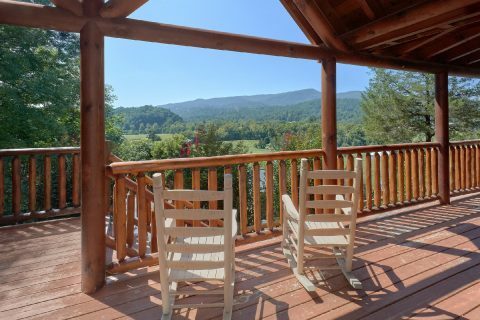 Since this rental is only 3.5 miles away from the Pigeon Forge Parkway, guests of this cabin will enjoy quick access to top local destinations like Dollywood, The Titanic Museum, The Island, and The Great Smoky Mountains National Park. 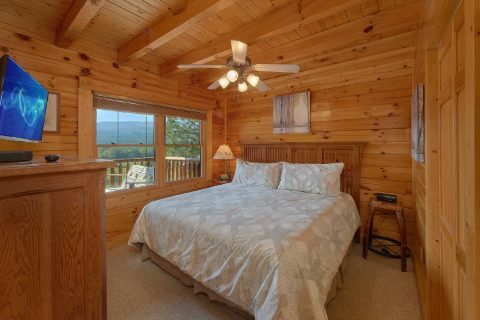 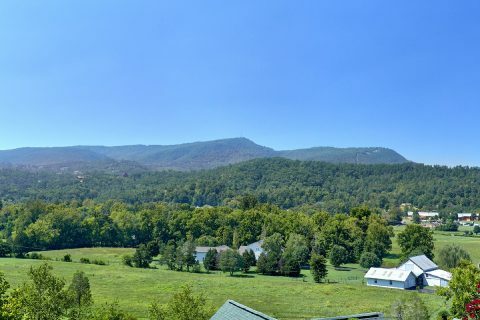 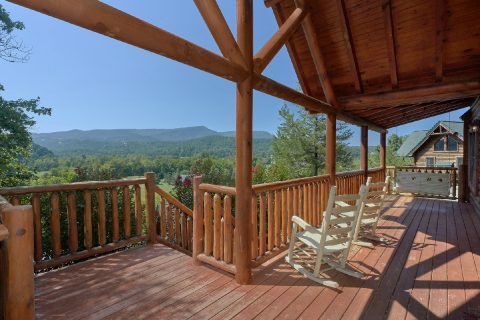 When you aren't busy exploring fun attractions in Downtown Pigeon Forge, you'll love returning to this comfortable mountain cabin with an excellent mountain view of Wears Valley from the front deck. 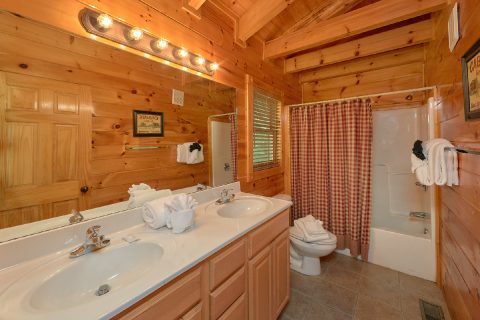 Additionally, guests of this rental will have access to the seasonal outdoor swimming pool at The Covered Bridge Resort if you'd like to go for a refreshing swim! 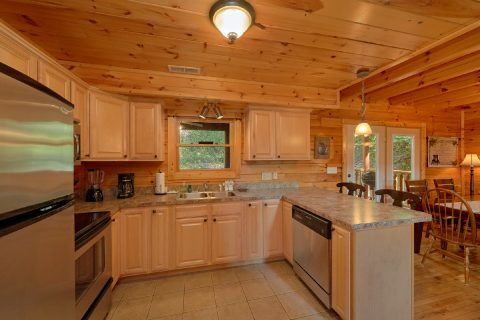 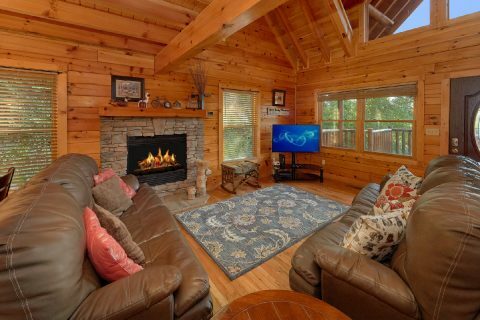 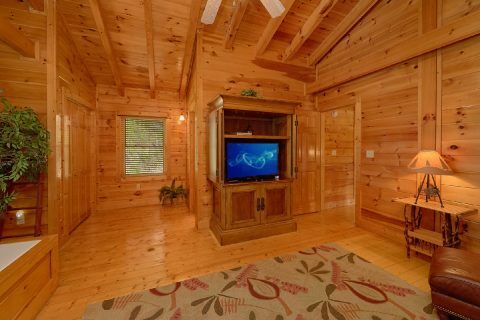 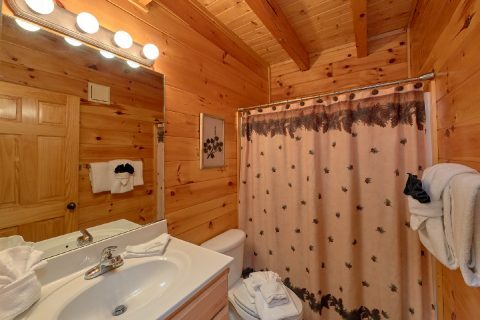 After a great day in the Smokies, you can look forward to spending quality time with friends and family in this cabin's living room area complete with a gas fireplace and a television. 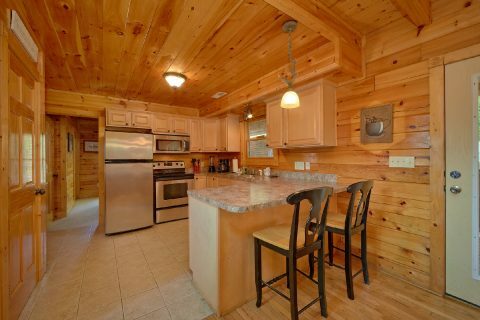 In your cabin's kitchen, you'll find everything you need to make delicious dinners during your stay. 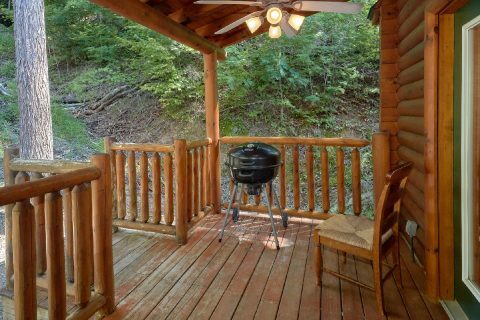 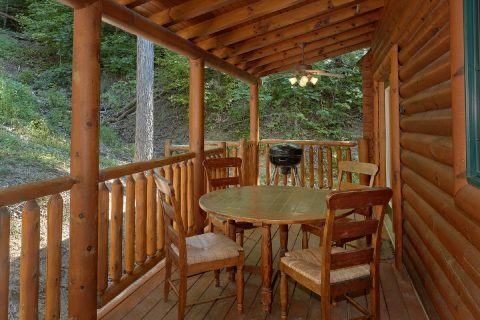 "Bear Mountain Lodge" also provides a charcoal grill if you'd like to enjoy a cookout in the great outdoors. 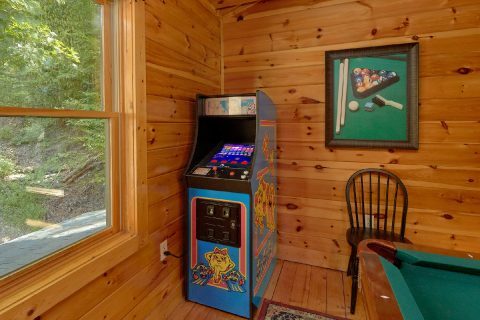 For some fun and relaxation, you can have some friendly competition on the pool table and arcade game in the upstairs game room loft. 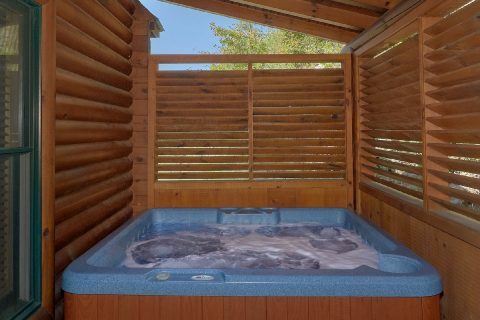 Lastly, you can always take a soothing dip in your cabin's outdoor hot tub while you sit out in the fresh mountain air. 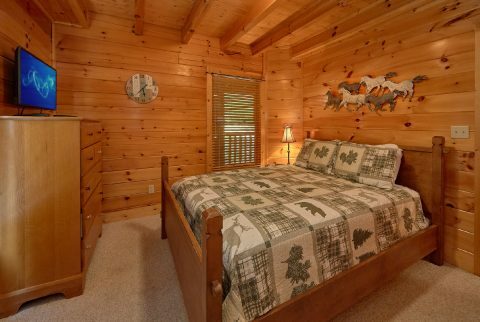 Once you're ready to get a good night's rest you can look forward to sleeping in one of this cabin's 3 bedrooms. 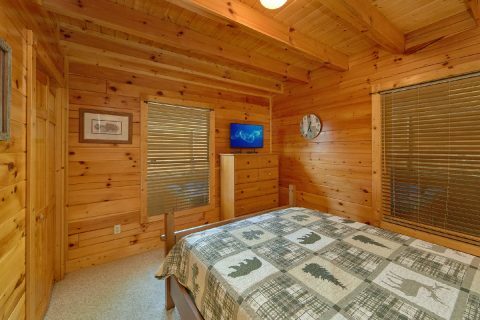 On the main level, you'll find 1 queen-size bedroom, 1 king-size bedroom, and a sleeper sofa in the living room to accommodate extra guests. 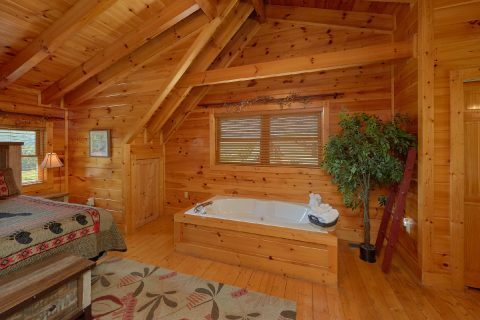 Upstairs, there's also a master bedroom that boasts a king bed, a jacuzzi tub, and a private bath. 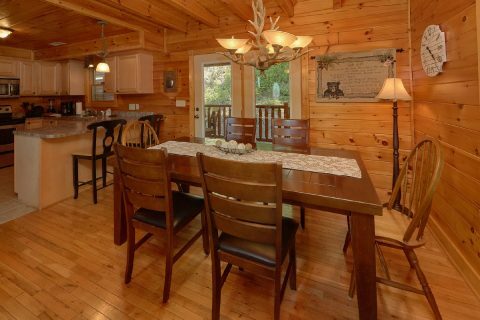 With room for up to 8 guests, this cozy cabin in the mountains is just the right size for a family vacation or a weekend trip with friends! 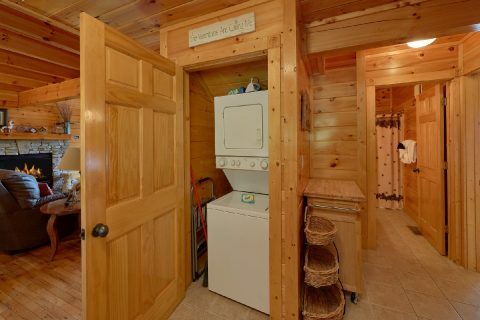 "Bear Mountain Lodge" also features practical amenities like WiFi Internet and a washer/dryer to help make your stay simple and carefree. 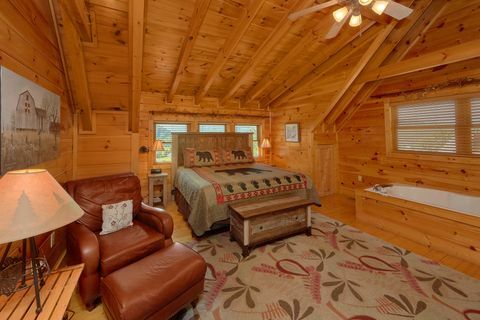 Best of all, you can reserve "Bear Mountain Lodge" today with Cabins USA and you'll save 15% on your nightly rate in the Smokies!